I had a moment in passing with the director of the "THESE FINAL HOURS", to ask one quick question... which is the tagline for the poster. 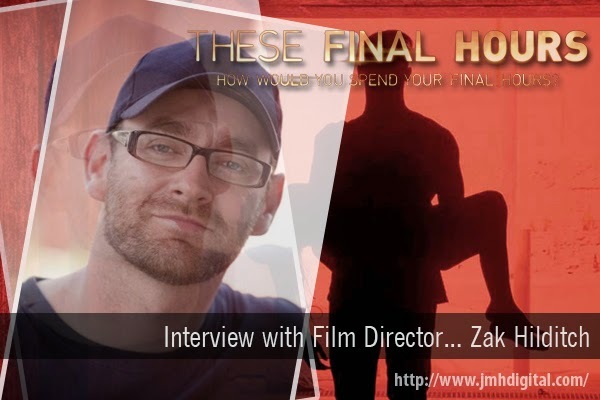 To find out more on this film please "CLICK HERE" and ask yourself that question "How would you spend your final hours?". Jeremy [The Wolf]: What would you do if this "was" the last day? Zak Hilditch [Director]: "I'm going to get good n drunk with the people I love the most and sail off into the sunset". It sounds like Hilditch has the right idea but I'd probably just drive into the sunset without getting drunk.